Pillow boxes are one of the most stylish boxes style available in the market. 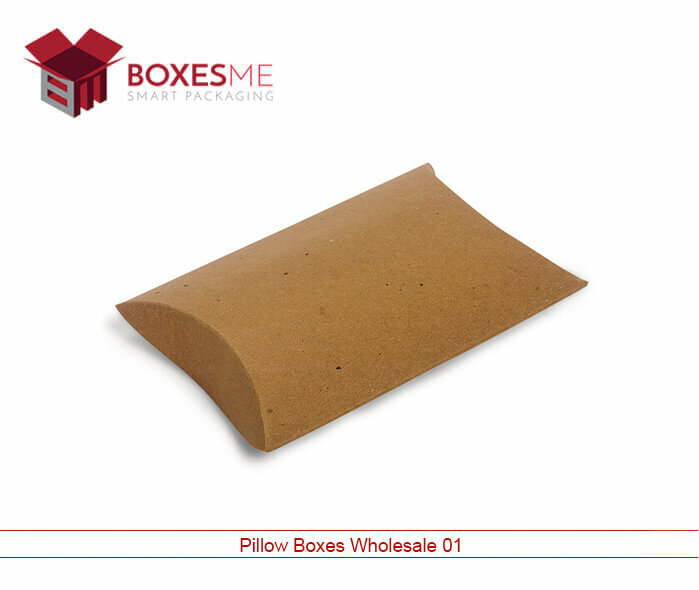 Pillow boxes wholesale can be made in small and large sizes to keep multiple products in an elegant manner. These Kraft pillow boxes wholesale are perfect to keep the candies and other small cosmetic products. Manufacturers can use them to display their promotional products attractively as their unique shape can do wonders for your product outlook by making it catchy. Pillow boxes Canada have pillow like shape with opening and closing tabs at both sides. These boxes can be easily creased and reach customers flat, hence there is no problem in ordering pillow boxes at bulk. 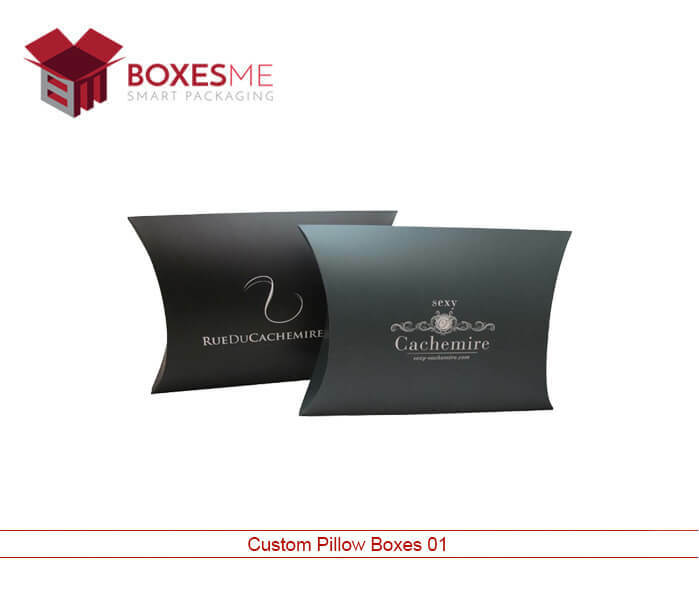 Which Packaging Boxes are more attractive Custom Pillow Boxes or Premade Pillow Boxes? Pillow boxes NY can be customized in any size according to the requirement of the customers. 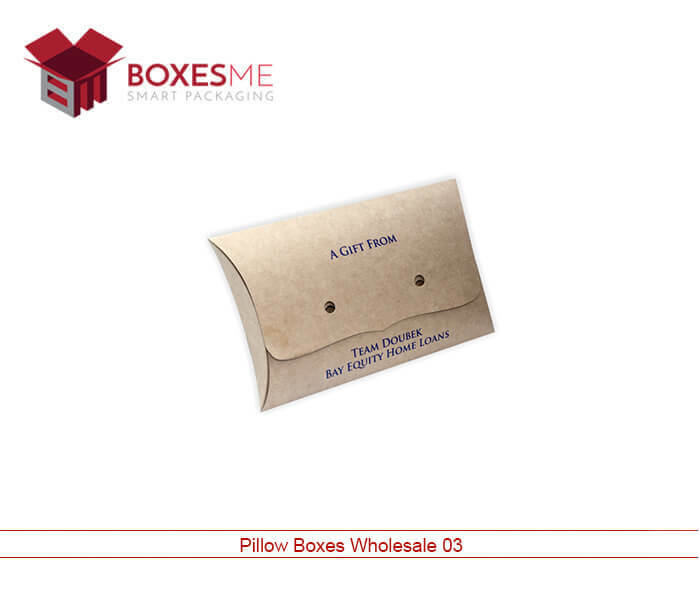 Whether you want a plain white pillow box with your brand name printed or a stylishly printed colorful pillow boxes wholesale. You can create them with the help of our designers who will help you with in selecting the best design and printing options for your pillow boxes California. On the other hand, the premade boxes only made in a specific size and color and you cannot change or alter the dimension of the boxes. Everyone wants to have attractive Kraft pillow boxes wholesale so customization is always a better option than getting premade boxes. Pillow boxes Florida can be made for any product that you want to display on the retail store or for gift purposes. Pillow boxes wholesale can also be used to package your gifts and send to your customers and loved ones. Kraft pillow boxes wholesale are also used for packaging of bath essentials like bath bombs and other soaps. They protect the quality of the products and can be stylishly upgraded with the help of embellishing ribbons, laces and die cut windows. What Are The Types Of Custom Pillow Boxes Wholesale? 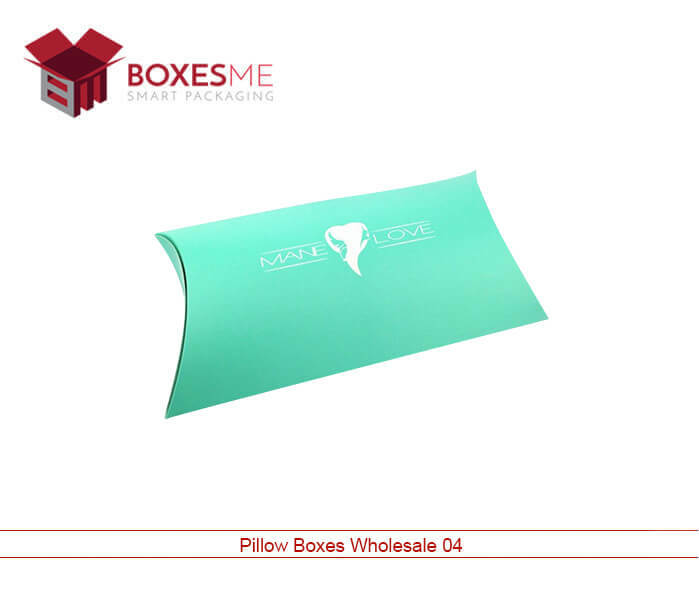 Pillow boxes wholesale Canada can be printed with catchy colors and printing designs. You can have full color printing on the Kraft pillow boxes wholesale to highlight the appearance of your products packed in the pillow boxes. Shirts packed in large size pillow boxes look amazing and can be added with a handle for easy carrying. They are made using cardboard material as well as Kraft paper, the materials are categorized according to the thickness and durability. You can opt the right material according to your product specific need. Where Can I Order Custom Pillow Boxes? 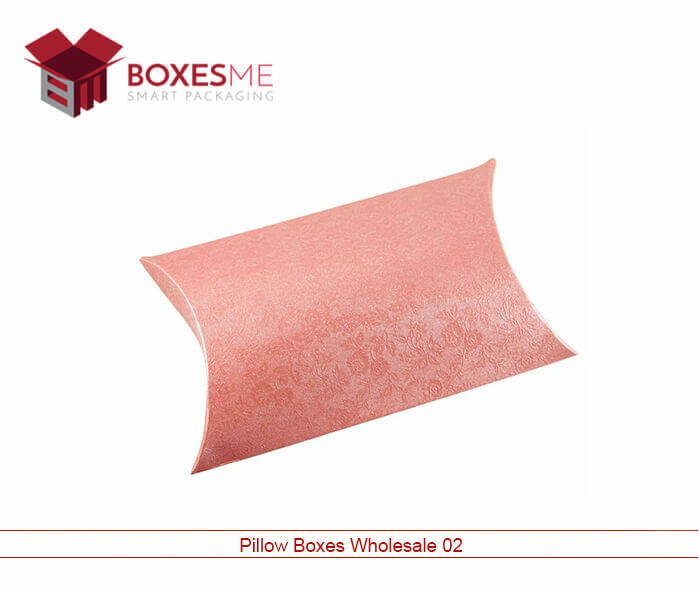 Pillow boxes wholesale are offered in lowest prices by BoxesMe. Kraft pillow boxes wholesale are provided to you by our experts using high quality printing and packaging techniques so that you can promote your products with more energy. These boxes are provided to you with free design support and free shipping. After ordering you just have to sit back and relax and we will deliver the best quality boxes at your doorstep.